The week of the 21st January 2019 is one that will forever be etched on my memory. A week that changed my perspective of football and bonded the cities of Cardiff and Nantes far beyond their official 'twinning' status that has existed since 1963. 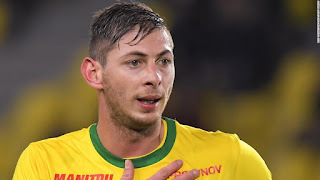 Emiliano Sala, the 28-year-old Argentine striker, had agreed a transfer to Cardiff City on Saturday 19th January 2019 but just two days later his plane tragically disappeared over the English Channel. On Thursday 24th January 2019, the search for Sala and his pilot, David Ibbotson (60), was called off, both declared missing - presumed dead. 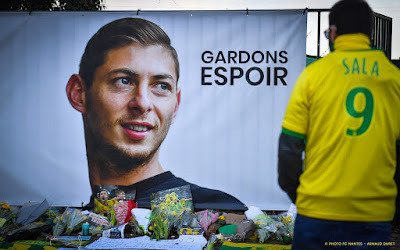 Plenty will be written over the coming weeks and months about Emiliano Sala, I simply wish to write about the man myself because I don't know what else to do with my grief over his death. On Tuesday 22nd January, I recieved a message at 7:45am from my brother, "Have you seen the news that Sala's plane may have gone down?". Disbelieving at what I was reading I headed straight for Twitter, my 24 hour rolling news outlet. Unbelievably, a search of 'Sala Cardiff' confirmed that rumours were indeed true - a plane had gone down flying from Nantes, France to Cardiff, Wales on Monday night (21st). The plane was a private jet and immediately the link was made to Emiliano, the man due to leave France that Monday evening to link up with his new Premier League teammates on Tuesday. Whilst it was not confirmed Sala was on board, the fears were immense because should it not have been, then it was likely to be someone else invovled with the deal itself. In that first half hour, rumours were muddled as people began to wake up. I sent frantic messages to my fellow Cardiff City friends, recording What'sapp voice audios for them to pick up explaining the rumours. My heart had dropped and my knot in my stomach was tightening by the minute. Surely this could not be true? Surely the club record £15m signing, that Cardiff fans were jubilant about just two days before, had not been involved in an air accident? Over the course of the day our worst fears were proved true. 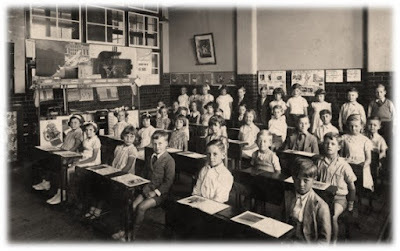 I am a teacher and during the day, every spare second I could find, I checked the latest updates. It was soon confirmed Sala and just one other person, a pilot, was on the missing flight and a vast rescue operation was underway. Emiliano Sala was born in the province of Sante Fe, Argentina, on the 31st October 1990. Sala grew up dreaming of playing the beautiful game and started his youth career with local side San Martín de Progreso before moving to Proyecto Crecer. It would be here that Sala was scouted by some European sides and after a short stint as an eighteen-year-old with Portuguese side FC Crato, Sala would eventually join Bordeaux in France. Sala certainly wasn't a 'hot prospect' as a youngster, two loan spells helping him make the step up to the Bordeaux first team in Ligue 1. Sala first was sent to French third tier team Orléans where he netted 19 goals in 37 league appearances as his side finished in eighth place. The following season, he joined Niort in Ligue 2, the second tier, scoring 18 league goals in 37 matches as Niort finished fifth. Sala may not have been technically gifted but he was proving he could score goals when given the chance. In 2014/15, he was given his Bordeaux opportunity but only scored once in 11 games in the first half of the campaign. 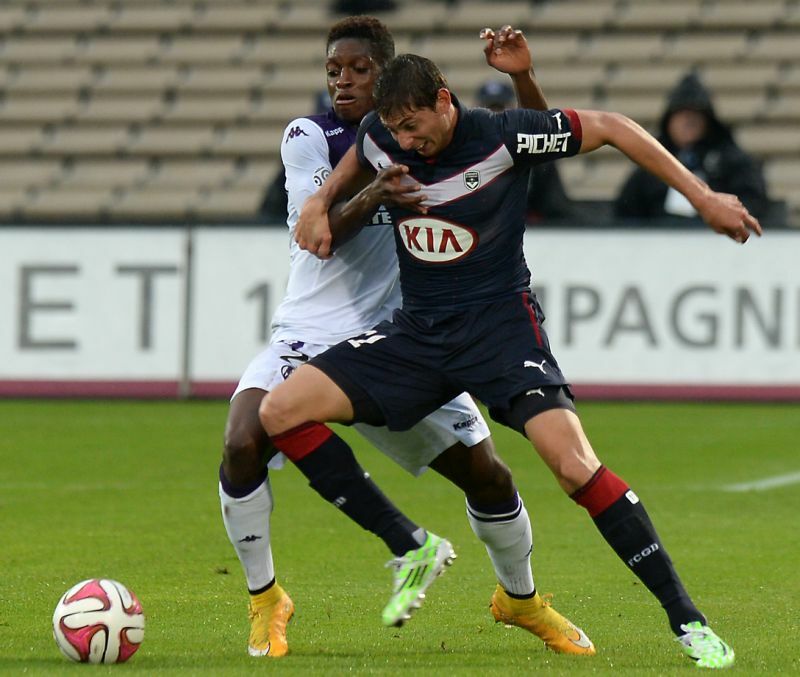 During the January 2015 transfer window, Caen, a fellow Ligue 1 side, took Sala on loan where he netted 5 times in his 13 appearances. It would be a move to Nantes in the summer of 2015 for a measly €1m that kick started the Argentine's career. In his first season he only recorded 6 goals in Ligue 1 but then in 2016/17 he netted a respectable 12 and matched that in 2017/18 too with 12 more. Sala was now an established top flight footballer in France and was linked to a move across Europe as his stock rose. Strong, adept in the air and growing in abilty to drop deep, a move for Sala beckoned if the price was right. This season Sala started incredibly quickly, matching his previous total of 12 in the first half of the season, in just 16 games. This is where Cardiff City join the picture, as in November 2018 the links and rumours begun to circulate. 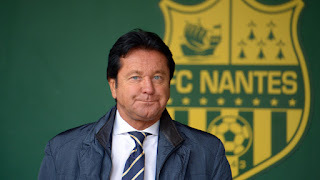 His fine form was exactly what Neil Warnock's Bluebirds needed to keep them in the Premier League and Nantes owner Waldemar Kita started the asking price at €25m. Kita desired a big profit on Emiliano Sala. Kita saw the chance to make big money from his €1m buy and against the wishes of manager Vahid Halilhodžić started talking to prospective buyers. 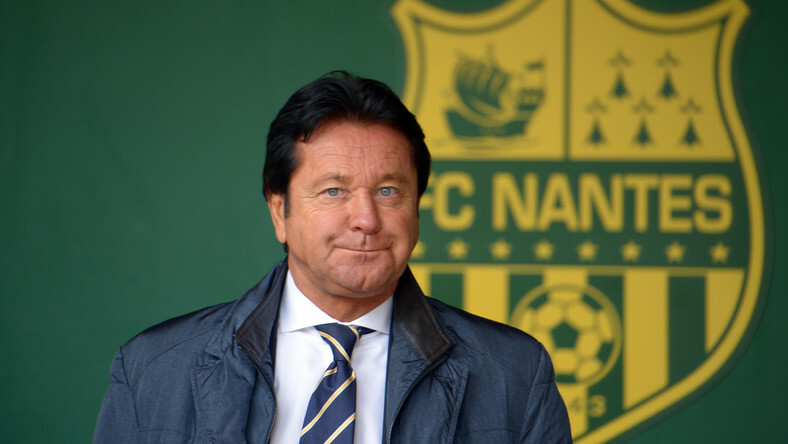 Warnock confirmed Cardiff had their eyes on some French based targets and he was spotted at a Nantes game in December 2018. This is where Sala became the object of Cardiff City fan's desires: tweets began to be exchanged, videos watched, games followed, French reports translated. Cardiff needed goals, strikers Kenneth Zohore and Danny Ward had struggled with injuries all campaign and so former right-back Callum Paterson had been featuring as our attacking focal point. As January 2019's transfer window approached it was Sala who we wanted to keep us in the Premier League! The deal for Sala moved from 'on' to 'off' numerous times. It was thought Emiliano wanted a move to a side with Europa/Champions League football and reports suggested than Sala was angry at his agents for not being able to secure him the switch of his dreams. Likewise Cardiff were put off by Kita's asking price and for a number of weeks it looked like Sala would not be joining the Bluebirds after all. Disappointed, the window moved on... until out of nowhere, the deal was back on the cards in the third week of January! Sala flew over to Cardiff for a look around the stadium and talks with the club's chiefs as Nantes and Cardiff agreed a fee of around £15m (a club record). 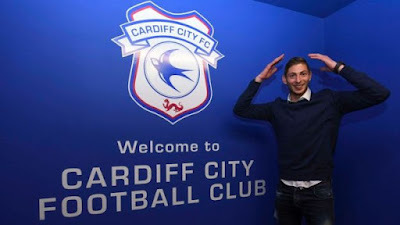 On Friday 18th January Sala was in the Welsh capital to agree his move and take his medical and then on Saturday 19th January the transfer was announced, Cardiff had their man! The news about Sala was the news we had been dreaming of, we had our goalscorer and he was the ray of hope in our hunt for Premier League survival. He talked of the pride at being the club's record signing and sought to endear himself to fans with a comparison of himself to Liverpool's Mohammed Salah, "There is a new Sala in town". With Cardiff out of the FA Cup the potential line-ups starting flying round the web for Sala's big upcoming debut at Arsenal away on 29th January 2019. The last thing Sala wished to do though, was go back and visit Nantes, his former teammates to say 'goodbye'. On Monday 21st January, Sala tweeted "La Ultima Ciao" or "The Last Goodbye", his final Tweet. He was due to take a private plane to Cardiff for training the next day and to begin the next chapter of his late blooming career. Sala's final tweet, "The Last Goodbye"
This brings us up to that fateful morning of Tuesday 22nd January. The message I recieved from my brother informing me that Sala's plane had gone missing. It felt like a dream, it could not be true. How could it be true? I felt sick to my stomach all day and as some facts were confirmed: rescue planes, helicopters and lifeboats were searching thousands of miles for Emiliano's plane, no news was terrible news. I cannot explain how I felt, suddenly nothing mattered, football was irrelevant and all that mattered was finding Sala. 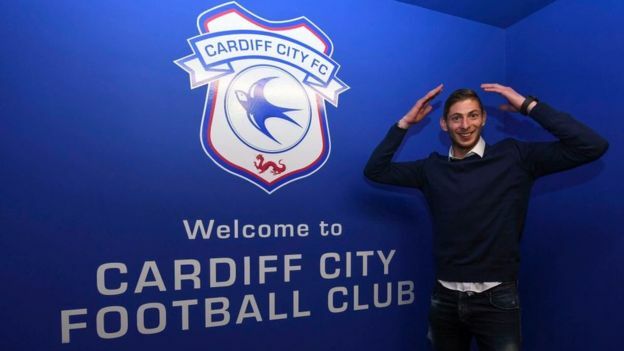 That night I couldn't sleep, I tossed and turned thinking about how, 24 hours previous, Sala sat on a plane to Cardiff excited to meet his new teammates. Hope was there that the 28-year-old would still be found alive and well, as would his pilot (who remained unnamed at this point). 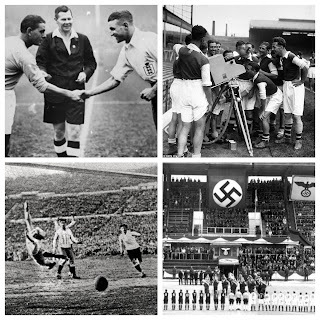 Over the coming days the football world was brought together. Cardiff City and Nantes recieved messages from across the globe, offering hopes and prayers for Emiliano Sala. The desire that he would be found alive was great and the work of the Guernsey police force co-ordinating the search, was sensational. Twitter was an emotional place to be, a mixture of tributes and messages of well wishes poured in for the familes and friends of both Sala and the pilot. As the days wore on however, the words from rescuers seemed to prove the stark reality of what we were all experiencing. The lack of sightings of the plane and the lack of sightings of Sala or pilot Dave Ibbotson led to many of the hopeful wishes to turn into messages of sorrow. Tributes began to appear at both Nantes' training ground and at the Cardiff City Stadium. On Thursday 24th January, the search for Emiliano Sala was officially called off. An emotional sister of Emiliano called for the search to be kept up, a call joined by the likes of Lionel Messi and the President of Argentina. Cardiff fans meanwhile, plan tributes at what should've been Sala's debut, Arsenal (away). Bournemouth is the club's next home game on 2nd February 2019 and the emotions are sure to be immense that day. A banner has been produced too by a Cardiff based firm reading: "We never saw you play and never saw you score but Emiliano our beautiful Bluebird, we will love you forever more". The loss of Emiliano is still raw. 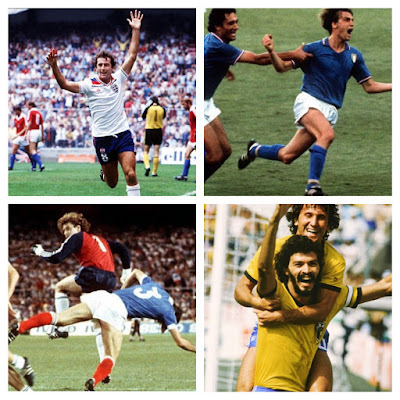 Footballers so often seem invincible and that's perhaps why this has shocked so many people. Support from other football clubs is vast but it will take many years for the Bluebirds and Nantes to get over this horrendous situation. 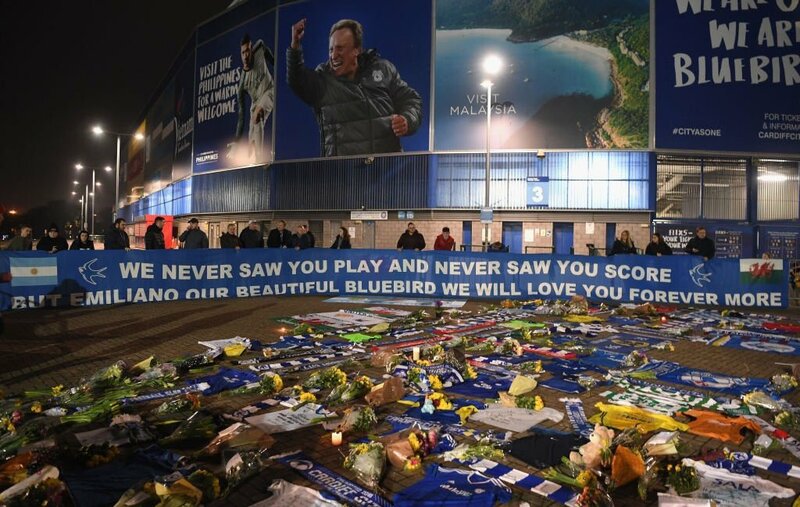 Cardiff City were the first club to play Leicester City after the terrible death of Vichai Srivaddhanaprabha, the club's owner, and four others in a helicopter crash in October 2018. That day was emotional, but I never fully understood the feeling of pain the Foxes felt until we lost Emi. As a fan put it, "Sala is the best player we never had". There is no doubt Emiliano's goals would've made him a firm fan's favourite, the heartbreak, is that we never got to see him line up in a Cardiff shirt. I cannot fathom that we have 15 more Premier League fixtures between now and the end of the season. I don't think any Cardiff fan can truly say what happens on the pitch is as important as it was on Saturday evening anymore. Suddenly losses mean less, three points means less and relegation and promotion means less. The only hope, is that the tight-knit Cardiff squad can give it their all for the rest of the season and do it for Emiliano Sala - The Eternal Bluebird. The thoughts and prayers of us here at The Football History Boys are with the friends and familes of Sala and Ibbotson. 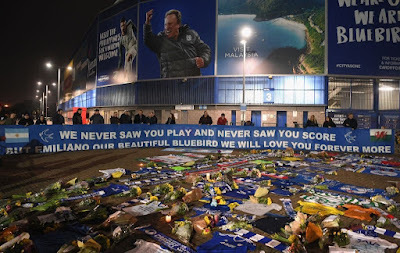 Rest In Peace: Emiliano Sala (28) and David Ibbotson (60).